Everyone loves mini golf! Fun, easy obstacles and colorful equipment make this 9-hole golf course a favorite for all. Easily adaptable to theme events! Everyone loves mini golf! 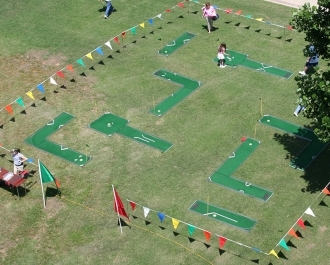 Fun, easy obstacles and colorful equipment make this 9-hole golf course a favorite for all. Easily adaptable to theme events!